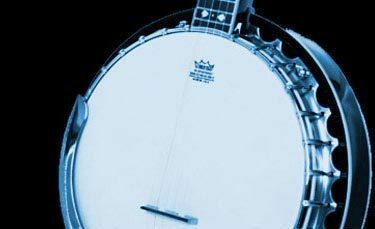 There are many avenues of involvement for players of Bluegrass music. Jamming, learning, performing, songwriting, teaching, recording, and luthiery all add up to some of the most satisfying hours of spent time we will ever know. The music chooses us. There is no doubt that promoting, hosting, and taking responsibility for all that goes on at a festival is the least popular of all the paths. It is obviously a tough row to hoe. Many get in the game for a year or two and then bow out for reasons easily understood; they are at the mercy of everything and everyone. Promoters square off routinely with planning boards, local community members, law enforcement, attendees, performers, their own staff of volunteers, and (last, and perhaps most) mother nature herself. We’ve more than made their acquaintance. We watch our hosts scurry around from place to place in golf carts putting out “fires” or seeing to creature comforts. We quietly hope that all is going well for them; that they are enjoying their own event — and at least breaking even. Because to imagine next year without the event is unthinkable. And during the off-season (if there is one), we don’t go for long without thinking of our festivals and all the memories they hold. We owe much to these courageous souls who facilitate these wonderful meetings. We build our vacation schedules around them. We arrange to meet and camp with friends that we may only see once a year. Or we look forward to playing with new folks we haven’t met. 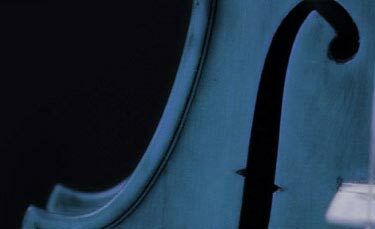 We get filled with anticipation to get a look at a featured band that will be coming north for the first time in many years, or maybe the first time, period. Candi Sawyer is one such soul. The Jenny Brook Festival has been her vision, her life’s work and her therapy. 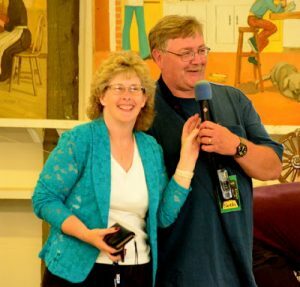 She and her husband Seth have hosted The Jenny Brook Bluegrass Festival since its inception in 2001. 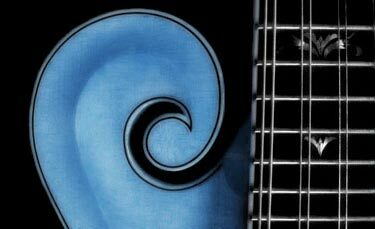 The Seth Sawyer Band has served as the host band, anchored by Seth on guitar and Candi on bass, always surrounded and supported by other talented musicians. The band has an ever-growing loyal following from the region and the extended Bluegrass community, from Seth’s soulful singing of his own songs. There is both a power and a tear in his voice that easily keeps the house full. His lyrics have a great way of connecting to the past, sketching out characters, and fleshing out moods that resonate with so many listeners. 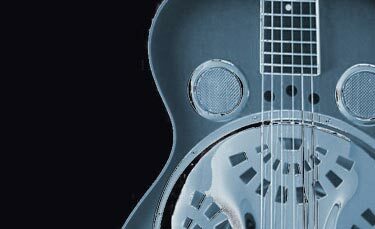 His songs have been covered by the Gibson Brothers, a globally recognized Bluegrass tour de force and Jenny Brook regular, and Dave Davis of the Warrior River Boys. 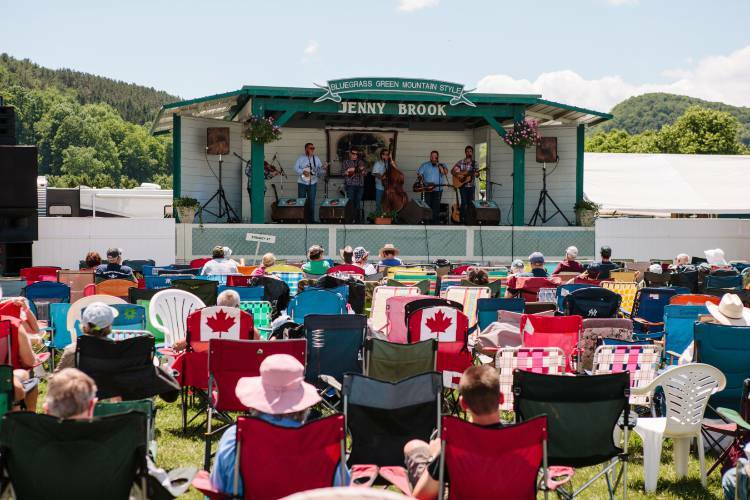 I began attending Jenny Brook in 2006 in Weston, Vt., at Jenny Brook Town Park, where the festival began. There was a great spring-fed swimming hole featuring water that had just been rejected as ice. The festival had instrument workshops led by performers, shade pavilions, a band contest, silent auction, and a variety of food and music vendors. The 2008 festival was uniquely marked by a couple of things. First, it had kind of homecoming feel for Rutland, Vt. native Dan Tyminsky, on leave from Alison Kraus and Union Station and heading his own band. 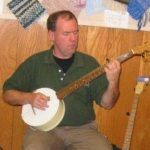 Dan had also helped put Bluegrass in view of the greater public eye back in 2000 when he did the voice-over singing for George Clooney’s part in the Coen Bros. film “Oh Brother, Where Art Thou.” Dan’s boyhood band was Green Mountain Bluegrass, and featured Dan’s brother Stan, Arlen Greene, and the 2003 national dobro champion Dave Bevins. So on the heels of his having been so hot, I believe it had been some time since we’d enjoyed an area appearance from Dan, sans AKUS. It was also the year the festival fielded some noise complaints from the community due to late night picking. I got the story the following day that the police had showed up at a jam and it got very quiet. The officer then said, “You all look like I just took away your birthday.” Then he warned that when he returned, if anyone was playing music, they’d be leaving with him in the squad car. To which someone inquired: “Can we bring our instruments?” Funny (then and now), but it was enough to seek a new location for the future. The other Jenny Brook image that stays with me from the original site was one time when the skies opened up and everyone was finding cover from hard rain. I was anxious to get back to my camper to secure things, and would have gotten soaked. But then I saw something unexpected – four people were holding the poles of an upright 10 X 10 canopy and walking it. People were taking shelter beneath, coming and going as they got to where they wanted to be. It was a walking festival rain bus. I jumped in and rode for a while and got off at my stop, a lot drier than I’d have been otherwise. Very funny to watch; very practical to those in tow, and quite a memorable image. Enter the Tunbridge Fairgrounds in 2009. The festival would be a week earlier in the calendar year, but only for a couple of years. Now it’s always the 4th weekend of June. 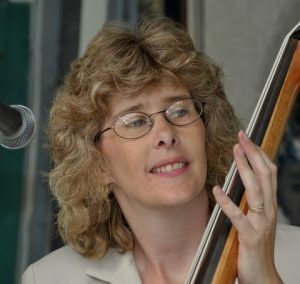 I sent Candi some questions for the Hudson Valley Bluegrass Association Newsletter. Here’s what she had to say. Mac Petrequin: Helloooooo Candi! I first said hello to you many years ago at the Adirondack Bluegrass League’s Round-up at McConchie’s Heritage Acres. You must have been in your mid-teens and you were playing bass with an all girl band called the “Blue-Eyed Darlin’s.” Do you remember that? Tell us a little about how you came to be involved in music. Candi: Mac, that sure was a long time ago. I was actually playing guitar then. In 1991 I was playing the guitar and went to go to the “C” chord and right in the middle of a song my left index finger would not hold the string down. Ended up having surgery because they felt it was a trapped ulner nerve. They did not find a nerve entrapment. A few months later it came back but it left me with weakness in my left arm. This is when I started playing bass. In 2003 I was diagnosed with Multiple Sclerosis and at that time found out the incident in 1991 was actually part of the MS. I do remember playing the Round-up and that is the year I surprised Smokey Greene with a song I had written for him. He was my idol growing up. I admired everything he did. I wanted to learn to play the guitar, be a DJ, write songs and put on a bluegrass festival. I grew up going to festivals and loving the music but didn’t start learning to play until 6th grade. Both my mom and grandfather played guitar. I became a DJ at a country station (WBFL) when I was 17 and enjoyed doing that for a couple of years. And how and when did you meet Seth? Greg & Sandy Cormier told each of us that they were going to introduce us to each other at their festival. We were at their very first Blistered Fingers Bluegrass Festival in Sidney, Maine (1991). I was selling raffle tickets for them at their festival and ended up introducing myself to Seth while selling tickets. A year later we were married. We had our first son, Adam, in 1996 and then Matthew in 1998. What led to the idea for Jenny Brook? My grandfather, Fernan Parker, promoted the Weston Playhouse Concert Series for over 25 years and I helped him through the years. When we were preparing for the 20th Anniversary, the President of the Weston Rod & Gun Club asked me why Grandpa never put on a Bluegrass Festival. I explained to him that he had tried years before but the town wouldn’t let him. I explained how expensive something like this would be to do and he said he would help me financially to get it started. Right from the start I said I didn’t want to do it if it couldn’t be a top quality line-up. He agreed and the rest his history. How many attended Jenny Brook last year, and how does this compare with your first year? I’ll never forget Mac McGee’s (from White Mountain Bluegrass) excitement when he arrived with the bus on Thursday night at the festival. He said it looked like a festival that had been going for several years. We had about 500 for the very first one and it has grown gradually through the years. Last year we had a little over 1200. Has the ratio of younger fans to older fans increased any over the years? The increase seemed to happen when the festival relocated to Tunbridge. The venue holds a lot more people allowing me to bring in bigger bands which is a big draw to the younger fans. Being a performer has taken you to different festivals where you don’t have to deal with being the host. That must be a nice break. It’s nice to go to a festival and not have to worry if the expenses are going to be met. When attending other events my eyes are always open looking for ways to improve Jenny Brook. I really enjoy the music when attending other festivals, but what I really like is to be able to visit with the fans and actually get a chance to do some field picking. Seth and I are usually way too busy at Jenny Brook to be able to jam. Jenny Brook is a regular stop for the Gibson Brothers, the IBMA’s 2012 Entertainer of the Year recipients, who uniquely command the collective audience ear. They’ve been at all JB’s except the first one. Do you remember when you first met them? This is a strange (long) story. While attending Smokey’s festival when it was at the fairgrounds, I was at the grocery store buying a cart full of Alpo Dog Food. We were planning to pull a prank on Green Mountain Bluegrass on stage that night. Dave Bevins had a dog named Dobro so we planned to start a joke Fan Club for the dog. In order to be a member you had to purchase a can of Alpo Dog food. Tons of fans put cans of Alpo dog food on the stage during their set and this crazy fan club was started. When I was shopping, Eric approached me and asked about the dog food. After explaining what was going on he mentioned that he saw me playing guitar with a dobro player back at the festival and wondered if he could come by and pick with us. I told him we’d be jamming later that day. He stopped by and played the banjo for a while. I asked several times if he wanted to sing and he said he didn’t sing. When he left he explained where his campsite was and that later on he’d be jamming with his brother. I told him I’d look them up. When I did I was so embarrassed for singing in front of him earlier because they were both singing. Even back then it was pure magic. I couldn’t wait for Grandpa to hear them. He agreed and booked them for the Weston Playhouse November show. Long story short—I met them in 1988 at the Smokey Greene Bluegrass Festival! We have been very close friends ever since. Speaking of recurring guests, tell us about Leroy Troy and his entourage. Leroy Troy was with us for the first time in 2006 when we were in Weston. Hard driving bluegrass is great but it’s important to have entertainers like Smokey Greene, Nothin’ Fancy and Leroy Troy to mix things up a little. I was so excited when we relocated to Tunbridge because I could finally bring The Tennesse Mafia Jug Band with Leroy. The fans loved ‘em!!!! They have a huge following in this area. This is the first year in a long time that they won’t be in the line-up but I need to keep moving around bands so we don’t have the same exact line-up every year. There is no doubt in my mind that they’ll be back. I feel bad because Leroy’s wife Kendra’s family gathers at Jenny Brook every year. It’s kind of like a family reunion for them. Their children, Liza Jane and Cash haven’t missed a Jenny Brook festival since they’ve been born. Your sons are the Sawyer Brothers, following in their parents footsteps. Does this act continue to grow? They are both very talented kids but as they grow older music doesn’t seem to be top priority for them. Adam plays the bass and is currently learning the mandolin and Mathew is learning the dobro. We’ve never felt we should push them to play because it really needs to be something they want to do. They love to sing and will be opening the festival again this year. We are really hoping that later on they will decide to take music more seriously but we’ll have to wait and see what happens. You have musical events on the calendar other than the festival; benefits, pot-lucks, etc. Can you tell us about them? 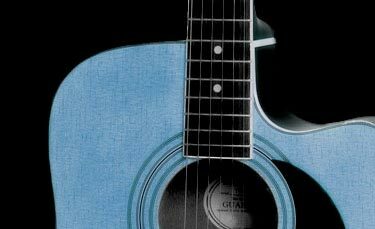 During the winter months (2nd Saturday of the month) Jenny Brook presents an Open Mic in Weston, Vermont that features a Showcase Band. This is a great way to keep in touch with the fans as we wait for Jenny Brook in June. As far as benefits go, we try to do them when needed—it’s the bluegrass way! I think fairgrounds are great for festivals. 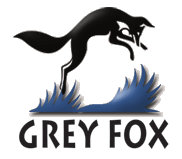 Smokey Greene’s festival was held on the Washington County Fairgrounds back in the ‘80’s. There were lots of nooks and crannies that came to define “festival neighborhoods”, and many out-buildings became jamming parlors, and shelter from occasional hard rains. It was a rare week-long festival and I have many great memories of the performers and attendees that I met there. The Tunbridge Fairgrounds have been your festival’s home since 2009. Were there many major adjustments or growing pains in the move? The hardest part about the move was finding the venue. My biggest concern was to keep that “small festival feel” in a much larger area. They wanted us to use the grandstands and their stage, but that was out of the question. I really wanted our stage from Weston to be brought to Tunbridge but without getting costly permits it was looking like it was out of the question. Seth came up with a way to cut the stage into pieces and our friend Doug Waterman placed the pieces using his log truck onto my Dad’s truck and trailer and then loaded the rest on his truck. I was so sad the day we took the stage to Tunbridge but there was no need for sadness because it’s so much nicer in its new home. When the gates opened the newly assembled stage looked great and even had a fresh coat of paint! (This past year the stage was upgraded but still has that Jenny Brook style!) In a way we were forced to move and it changed the history of Jenny Brook. If we had stayed in Weston the line-up would have not been able to expand to what it is today. Candi further explained how she found the Tunbridge sight. Seth was filling in with Gopher Broke at the Good Sam’s Club and I walked around looking at the grounds while he was playing and realized this had to be the new home for Jenny Brook. Seth said he feels the grounds in Tunbridge have a “special feel” to them and he’s right, it’s the perfect place to hold a bluegrass festival. Things happen for a reason because when I contacted them they were excited about having us move the festival to their grounds. It felt really good to be wanted!!!! The rest is history as far as the move because now there is room to grow and my dream of having all the great national bands appear at Jenny Brook is coming true. You’ve persevered through some tough times. Did it ever look like the festival’s future was in jeopardy? Seems like every day is a struggle but knowing I have the festival to focus on keeps me going. The festival is the best medicine in the world. What has gotten more difficult? As the festival grows is seems harder to please everyone. I go out of my way to pay close attention to all the details that go into putting on a festival so that everyone has a great time but that doesn’t always work. What is the most unusual or memorable thing that ever happened at the festival? For me the most memorable thing was having Danny Tyminski perform at our 8th Annual Jenny Brook Bluegrass Festival. When David Johnson, the man that backed Jenny Brook in the beginning, asked me what my goal was when we started I said I wanted to have Dan play the festival. With his busy schedule I didn’t think it would ever happen. I’m thankful it happened when it did because his Dad was there to enjoy it. He passed away the following year. Seth always wanted J.D. Crowe to play the festival so that was another goal. It finally happened last year and ended up being on his “Farewell Tour”. He ended up selling one of his banjo’s from the Jenny Brook stage. That is something we’ll never forget. What is the turnover like for your volunteers, and is it hard to find them? We have a great core group of volunteers that come back every year. Now that the festival is growing bigger I have to bring in a few more each year but so far we have had really great luck with volunteers. They are all part of our Jenny Brook Family and without them the festival wouldn’t be possible. I work hard every day on the festival but have learned that with my MS I have to delegate duties to others when the festival gates open. The volunteers know that I am very picky and want everything to be perfect. It seems to work like a Well Oiled Machine! There are many ideas that promoters have tried for fun events at festivals. What’s worked well for Jenny Brook? Two things come to mind. The Grass Seeds Gazebo Stage works really well and so does the Jammin’ at the Sugar House. The Grass Seeds Gazebo Stage is a place for individual performers or bands to show their stuff. There is a voting process and the winners receive a trophy and can actually perform on the Main Stage on Sunday of the festival. Jammin’ at the Sugar House started to become popular when Leroy Troy & the Tennessee Mafia Jug Band started jamming with the fans. This year we will have Hot Mustard, James King Band and Nothin’ Fancy available for fans to jam with. Should be a lot of fun! Do you have ideas for future events that you can share at this time? Because of my health I never know how long Jenny Brook will last. Each year I try to make the festival the best one yet because if it has to end I want to leave a lasting impression in the eyes of the fans as it being a great festival! My future plans are to continue to have a strong line-up from start to finish! What is the single most important piece of advice you would give to anyone thinking of hosting a festival? Promote it because you love it! There is no money to be made putting on a festival. My compensation is watching the fans have a great time and knowing that I helped to put that smile on their face. I don’t think you should try and cut corners to make money. Put together a quality line-up and the fans will come! Is there anyone you’d like to mention that has been a key player in the whole Jenny Brook effort? Without Seth (and the boys) Jenny Brook couldn’t happen. They have put up with me for the last 13 years talking non-stop about the festival. I must sound like a broken record. I make all the decisions, organize everything etc. but there is no way the festival could happen without Seth. I bounce ideas off of him, he drives me around to put up posters, buy supplies, etc. He does all the “heavy lifting”! He makes the signs, works on the stage, loads everything to be taken to the festival etc. (The list goes on and on.) He understands that all the little details that make Jenny Brook what it is today are important. Seth is always by my side and encourages me to keep going with the festival knowing that it is what keeps me going! Additional Note from Candi: Come to Jenny Brook and experience bluegrass music in the Green Mountain style! Ammenities: Plenty of room for rough camping, water & electric hook-ups (additional fee), free hot dhowers, public restrooms.